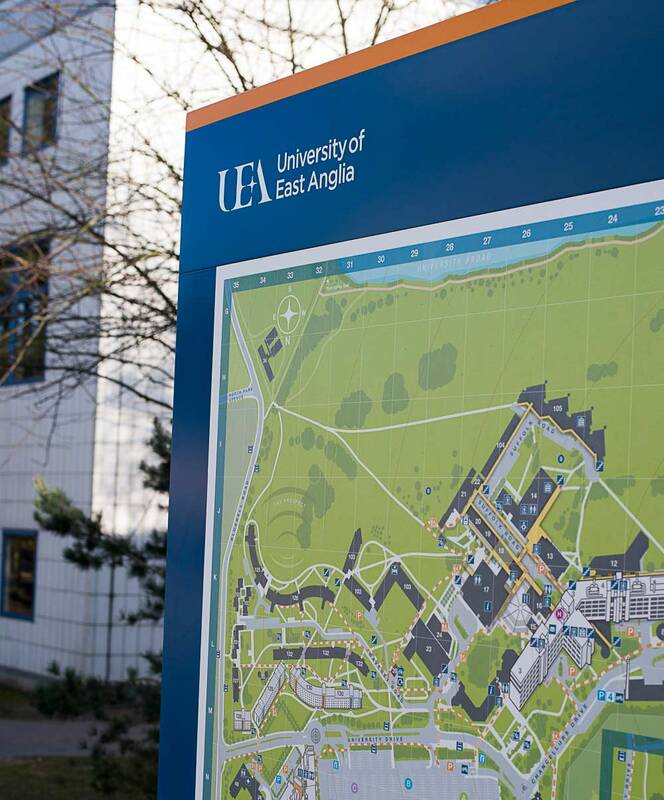 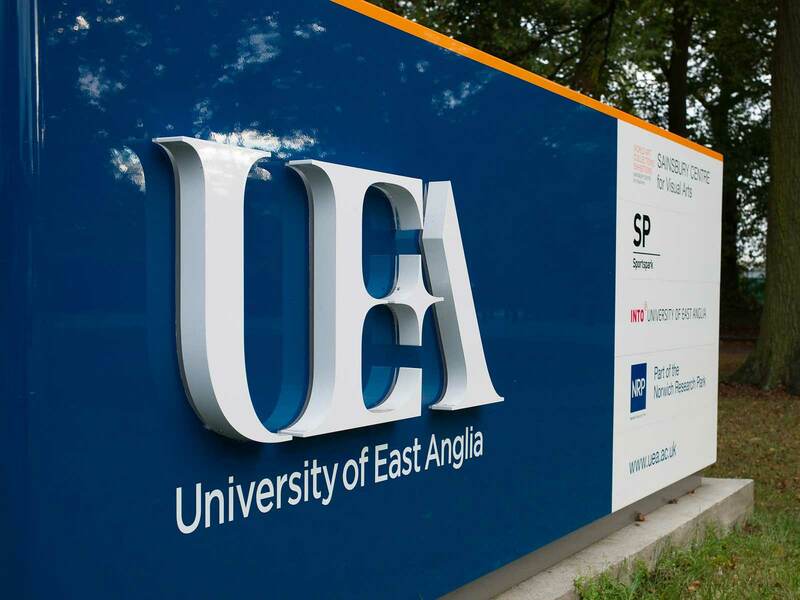 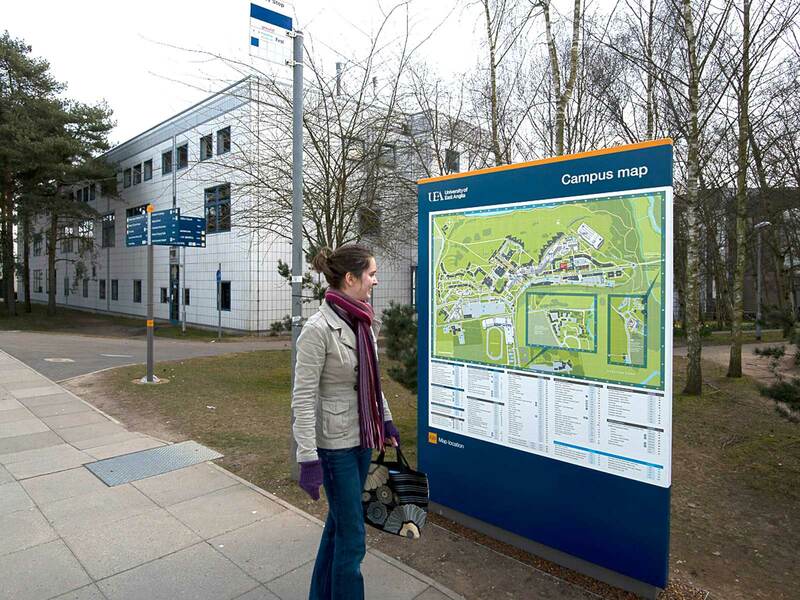 ABG Design was commissioned to undertake a full wayfinding audit of the UEA campus and to design and specify a signage family to work across the whole campus. 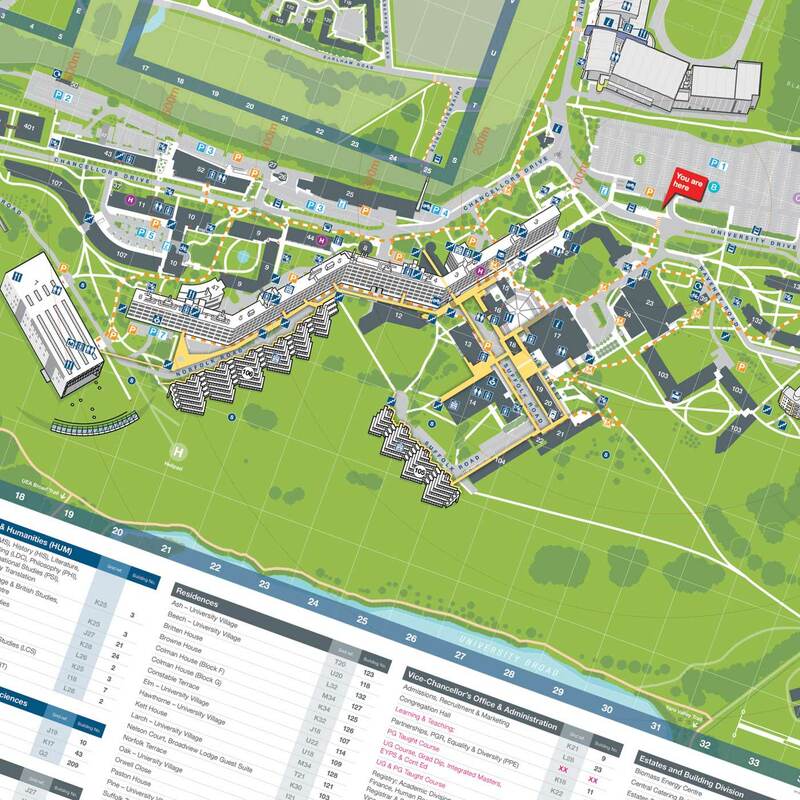 To complement the new wayfinding & signage scheme, we have developed a stylised campus map with grid reference and key to aid orientation around the campus. 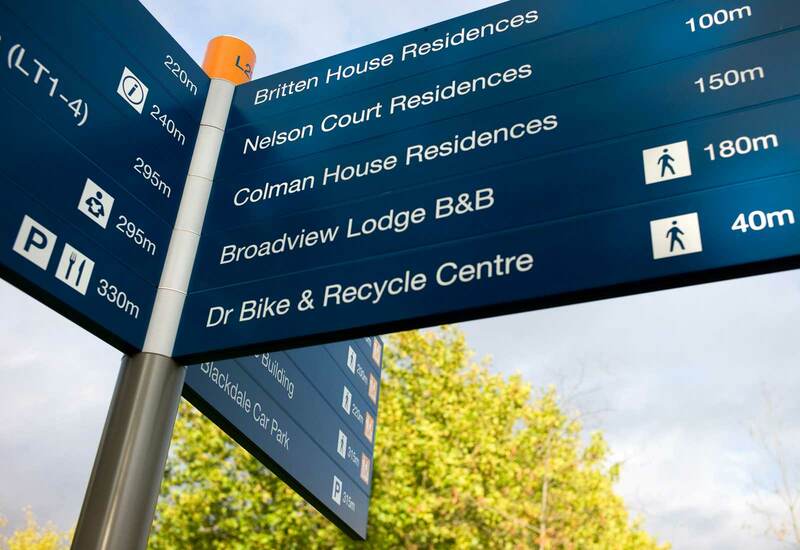 We also created a comprehensive signage design guideline to aid future implementation.